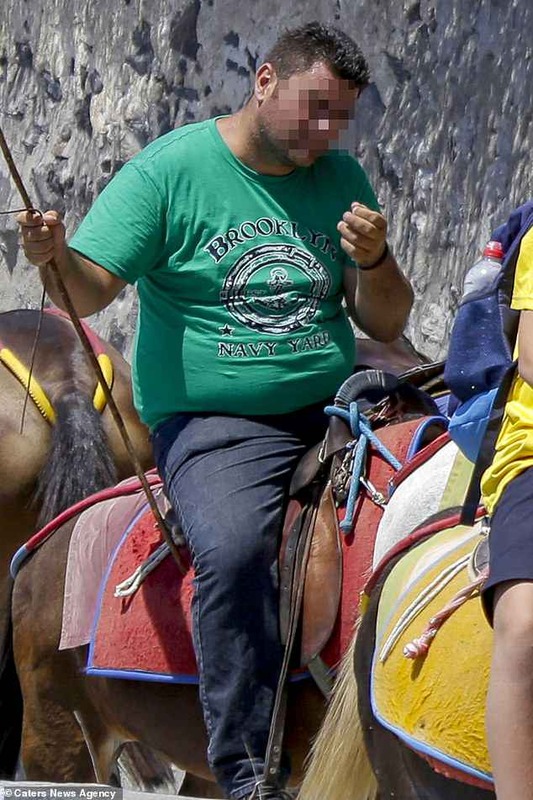 Greece has banned obese tourists from riding donkeys after animal rights campaigners said the creatures were being left with spinal injuries and open wounds. After images of donkeys climbing the narrow steps of the Greek island of Santorini laden down by large holidaymakers hit the headlines worldwide, lawmakers in the country have now pledged to do more to help the animals, the Daily Mail reports. 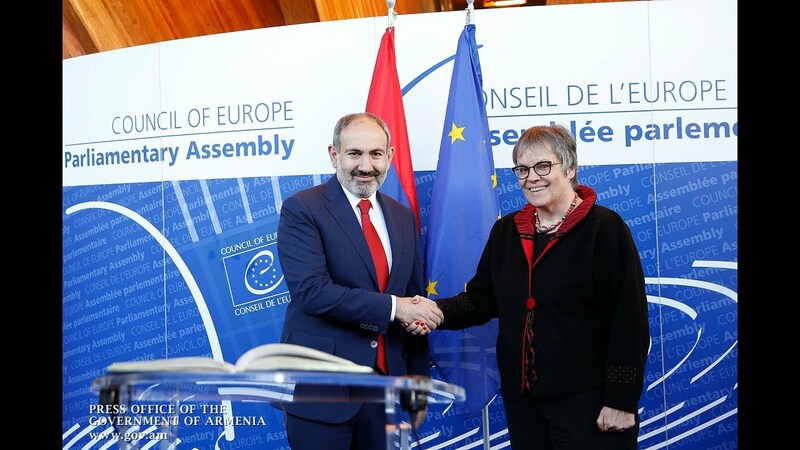 The Greek Ministry of Rural Development and Food has published a new set of regulations regarding donkeys' well-being after receiving multiple complaints following media coverage in July. 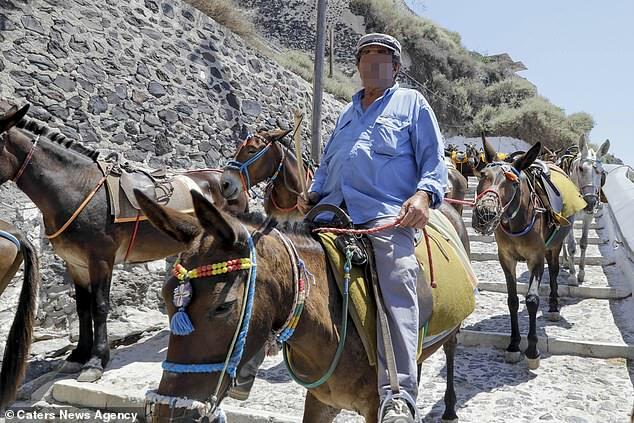 These state that donkeys giving tourists rides in Santorini should not carry any loads heavier than 100kg (15 stone, 10 lbs) or one fifth of their weight. The move comes after animal activists on the island claimed with obesity on the rise, donkeys were being forced to carry ever-heavier loads while working long hours, seven days a week without shelter, rest and water - leaving them with spinal injuries and open wounds from ill-fitting saddles. The government bulletin states: “The owners of working equidae should ensure that the animals' level of health is high. There should also be disinfection materials in their living quarters and workstations. “Under no circumstances should be used animals unfit for work i.e., ill animal, injured, animals in an advanced pregnancy as well as animals with poor maintenance of hooves. “The animals should be given appropriate and adequate food and fresh drinking water daily, into containers which cannot be contaminated and are cleaned at least once a day. 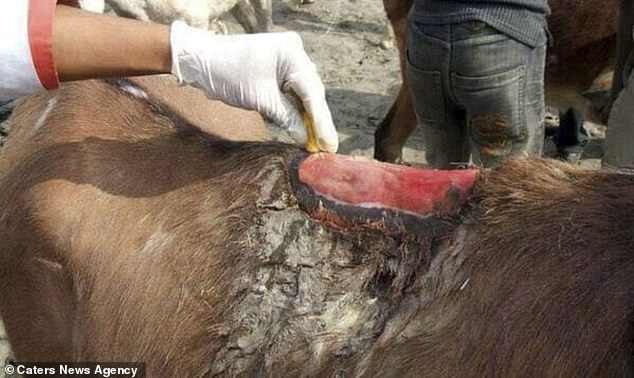 Elisavet Chatzi, 45, a volunteer from Athens who participated in a peaceful protest in Santorini over donkeys' treatment there earlier this year, said: 'It's a very big step, I think all our hard work has paid off. “The situation in Santorini has been going on for many years and it cannot be resolved in one day. “We have won our fight because of the international media attention on the topic. No one could ever believe that new regulations would be set. But other campaigners allege that despite the reminder, nothing has changed on the island and there is still a long way to go. Maria Skourta, 42, the leader of the Athens branch of Direct Action Everywhere, claims: 'We were content with the bulletin because the purpose of our organisation is to bring matters to light and initiate conversation. 'But our goal is not to improve the lives of slaves, it's to free them entirely.